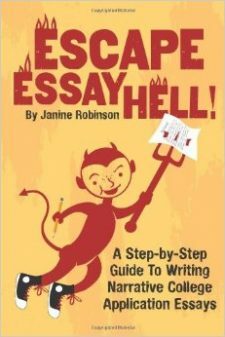 One of the biggest obstacles in writing anything, especially “essays,” is getting started. The other night, I walked into my 15-year-old son’s room where he sat at his desk, very distraught. He admitted up front that he had blown it. The assignment, to write about homelessness for his human ecology class, was given several weeks ago. But he had been absent and failed to find out what he missed, let alone do the catch up research. Anyway, the rough draft was due the next day. He said he had just spent the last hour staring at his computer screen, trying to write the introduction. He was totally lost and starting to panic. I remembered the story that one of my favorite writers, Anne Lamott, said inspired the title for her popular book on writing, Bird by Bird. She said years ago her younger brother, then 10, was trying to write a report on birds that he had had three months to write. It was due the next day. Her brother was surrounded by books on birds, binder paper, pens and paper, and was totally overwhelmed and close to tears. My son had a similarly overwhelming assignment. How do you get your arms around “homelessness”? The subject fills thousands of books alone! So I gave my son similar advice: Don’t try to take on the whole subject at once. You need to break it down into smaller ideas. Then plug those into an outline. And never, ever, start with your introduction. You have to know what you are going to say first. When faced with those open-ended college admissions essay questions–along with the impossible expectation that you define the essence of who you are in 500 words–you probably will experience similar feelings of helplessness, dread and panic. Just remember: Take a deep breath. Relax. Think “bird by bird.” All you need is a plan!